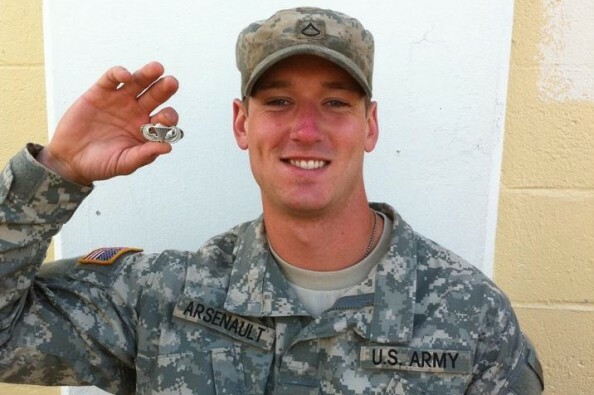 Brian Arsenault was killed this week in Afghanistan. He was an outstanding soldier and an American Hero. We would like ot raise a funds in support of his family. Please help us give back something to someone who gave everything. 4. The funds will be given to his family in support and love for them to use or donate in his good name. I was able to keep this fund open, Thank you everyone for each and every donation. Thank you everyone, this will be open for another 2 hours! This will be open to donate until mid day of the 18th. Thank you everyone who has supported his family! I am planning on giving this fund to Brian's family either on Monday or Tuesday, Thank you everyone for all the support you have given them in their time of need.